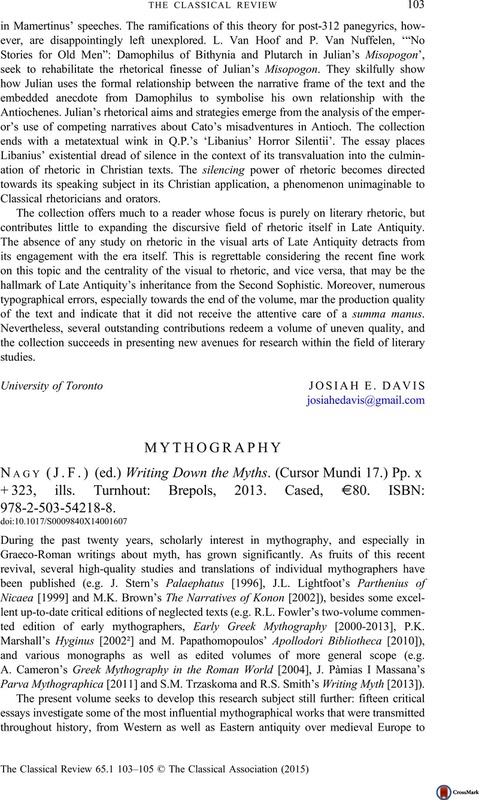 MYTHOGRAPHY - J.F. Nagy (ed.) Writing Down the Myths. (Cursor Mundi 17.) Pp. x + 323, ills. Turnhout: Brepols, 2013. Cased, €80. ISBN: 978-2-503-54218-8.